Once a burgeoning trading post, today, Winnipegosis is a somewhat genteel version of its past. The “village by the Lake” is known for its sports fishing and draws people from across the country, the US and overseas. 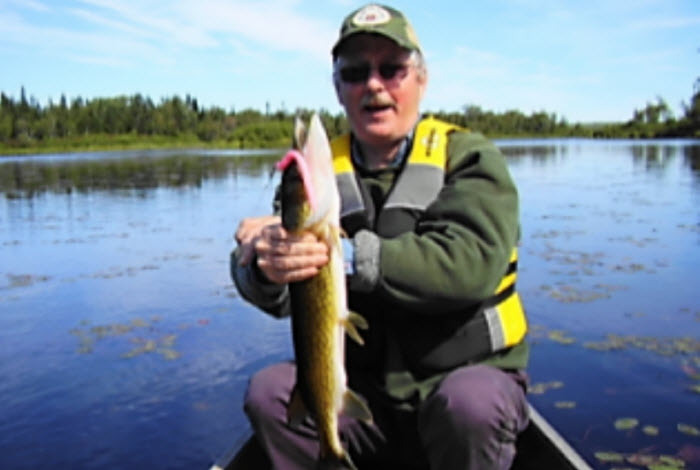 Species are abundant and plentiful, including pickerel, walleye, northern pike, and perch, to name just a few. Less well-known but equally impressive is that Winipegosis lies on one of the major bird migratory paths in Manitoba with some 390 species recorded. Its reputation as a haven for birds is spreading. Golf? Enjoy a leisurely 9-hole round at the local Municipal Golf Course. Canadiana history buffs have a treat in store. The Winnipegosis Historical Society has curated an impressive repository of its past. Be sure to visit the Winnipegosis and the Medd House Museums. If you dig deep enough, you can trace the origins of the “village by the lake,” aka Winnipegosis, to some 10 thousand years back. The village is strategically positioned at the southernmost tip of Lake Winnipegosis and snuggles up alongside the banks of the Mossey River. Rich in resources and blessed with a natural infrastructure of waterways the land attracted early native settlers all those eons of years ago. Eventually the Cree and Assiniboine came to dominate the area. Skilled hunters, fishers and foragers, they took to the waterways to transport their goods to the east, west and south to what was to become America. Fast forward to the late 1700’s, trade and economy escalated at a rapid pace. First a new fur trade market emerged both on the American and European continents.The Cree and the Assiniboine saw the opportunity and invited the representative governor of England to build a trading post at Lake Winnipegosis. Then in the early 1800’s salt flats were discovered at the edge of the lake. Salt mining in the day was a desirable and lucrative industry. Forestry, lumbering, farming, cattle and horse ranching opportunities followed in swift succession, each bringing with it an influx of settlers. In time a railroad was built to efficiently move lumber, goods and people. From 1897 to 1915 Winnipegosis was a boomtown. Then things slowed down. Market shifts and two world wars brought severe economic downturns.The once booming village by the lake became a comfortable albeit a sleepy one. Fur trade: long gone. Salt flats: decomissioned. Railway: shut down. BUT … and there’s always a but … things began to slowly turn around. Fishing, farming and forestry survived. In the mid 70’s a handful of citizens formed The Winnipegosis Historical Society. In 2015 the Village of Winnipegosis amalgamated with the municipality of Mossey River. Today people come from all corners of Canada and the US … for business, sport fishing, hunting, bird watching, and sometimes just to get away from the city if only for a few days. Winnipegosis may be just a tiny dot on the map of Canada but it is not an inconsequential dot. Within that dot is Canada’s rural history writ large. When visiting you can almost feel a fresh new energy. Newly minted small enterprises are sprouting here and there.Young people come to gain experience in hospitality, customer service, guiding, trail building and maintenance. With the advent of technology the need to live in a major center is no longer a prerequisite for employment as remote “work from home office” opportunities grow. Today’s call of the wild is as often the friendly and safe atmosphere of small townships and villages as it is the wolf’s howl.Times change. This “dot” will continue to write history for generations to come. Lake Winnipegosis and the Mossey River offer some of the the best fishing grounds in Manitoba. Species here are abundant and plentiful and include pickeral, walleye, mullet, northern pike, rainbow trout, perch, sauger, silver bass, and lake trout. Ice fishing for the adventurous in the winter. Be sure to snap a few pics to prove to those at home that yours is not just another fishing tale! 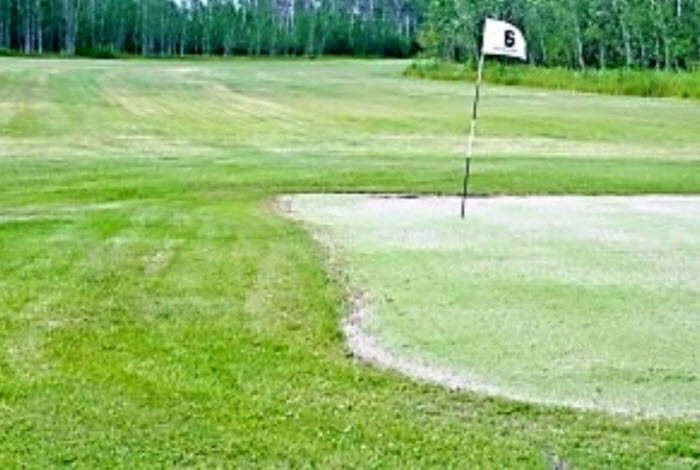 Winnipegosis is home to a beautiful 9 hole golf course that runs along the Mossey River. Each hole is designed to give you a fun, eventful golf experience. Golfers will get to experience a community owned course that provides countless hours of relaxing fun for people of all ages. Winnipegosis lies on one of the major migratory bird paths in Manitoba. 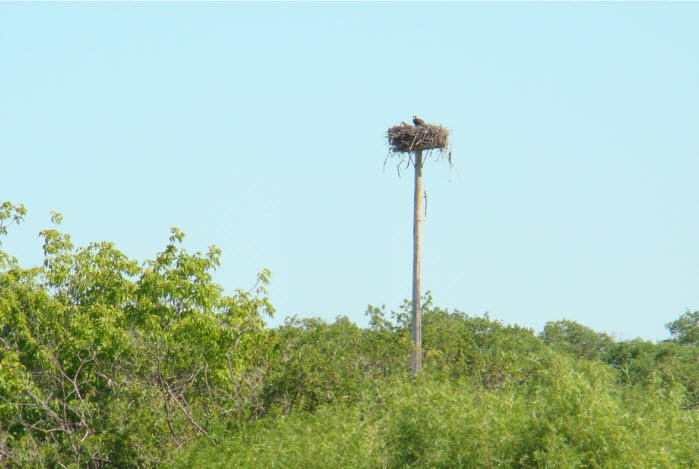 An estimated 390 species have been recorded of which 287 are known to nest in the province. Birder’s paradise! Bring your binoculars and cameras for spectacular viewing and photo ops of cranes, swans, osprey (shown nesting in the photo to the left). Come to Winnipegosis for your next bird watching expedition.Book your stay at the Mossey River Inn. Winnipegosis has a fascinating history that can be traced to some 10,000 years ago. It is a microscopic study of how towns and villages came to be settled in rural Canada. The Winnipegosis Historical Society has done an exceptional job of collecting and preserving artifacts and history of the area. 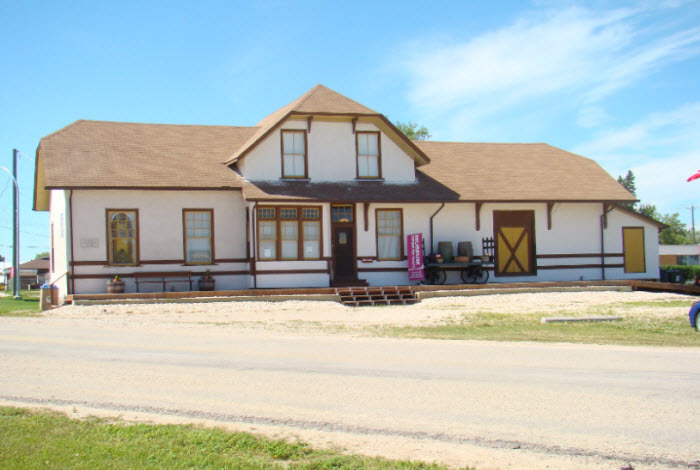 The Winnipegosis Museum and the Medd House, operated by the Society, are a trove of interesting facts and artifacts which could easily serve as a backdrop for a mystery or a whodunit novel. There is plenty more to discover. Put on your walking shoes to walk the many trails of the surrounding area. Canoeing on the river and lake is not only great exercise, but an adventure. Driving up? Bring your bikes. Mostly level ground makes for easy riding. In the winter we maintain our trails for skidooing, and you might also want to try and land a trophy walleye ice fishing on the lake. Step out into the dark of night. You’ll be mesmerized by how close the earth and sky appear – so much so that it feels as if all you need to do is just reach out and pluck a star from out of the dark and yes, put it in your pocket. Truly, the appearance is magical and yet it is real.